With the big city long gone behind us, we were all eager to arrive at our next destination: Napa. To be honest, I was shocked at how close the wine region was in relation to San Francisco. I definitely think a day trip is feasible if an extended stay isn’t an option. With so many family and friends having visited the area, sorting through the best of what to see, eat and do seemed daunting. Knowing American Express Platinum Concierge and Travel Service has a record of what we’ve booked in the past, made it easy to call someone who not only knows how we like to travel but what would peak our interest. 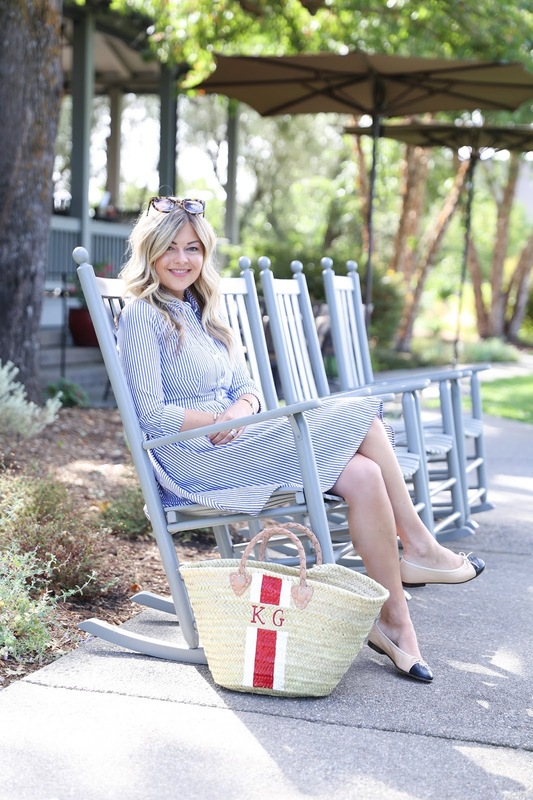 So after a great chat with my concierge, Marie-Eve, and the helpful folks on the Travel team we were set up in at the Carneros Inn – a rustic farmhouse resort and FINE HOTELS & RESORTS property– and reservations at the top spots in the area. After spending the week in the Napa area, it became very clear that the region is made up various smaller cities and pockets. 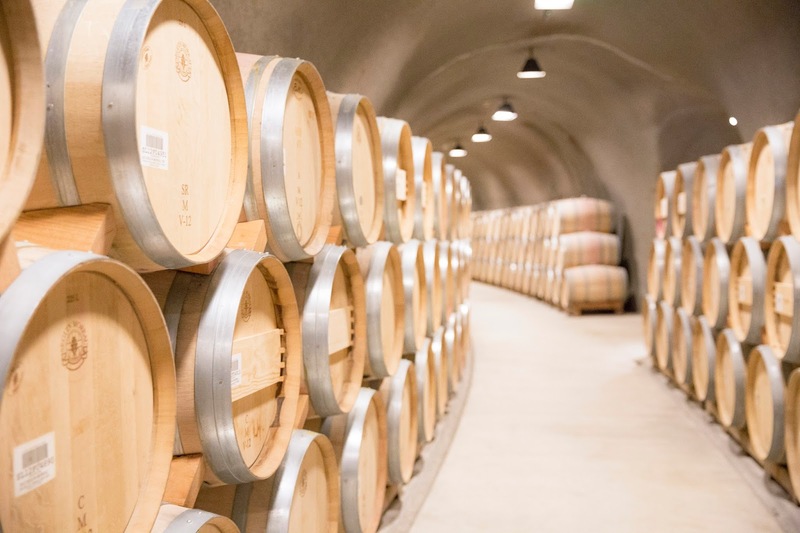 Sonoma is about a 30 minute drive from the main hub of wine region but with rolling hills, shopping plazas and more – there’s certainly an appeal to the area. We stayed at the Carneros Inn in Napa. Mind you – we were about a 20 minute drive away from wineries in the Napa wine region such as Beringer, Opus One or Frog’s Leap, but I loved how peaceful and quaint the area was. 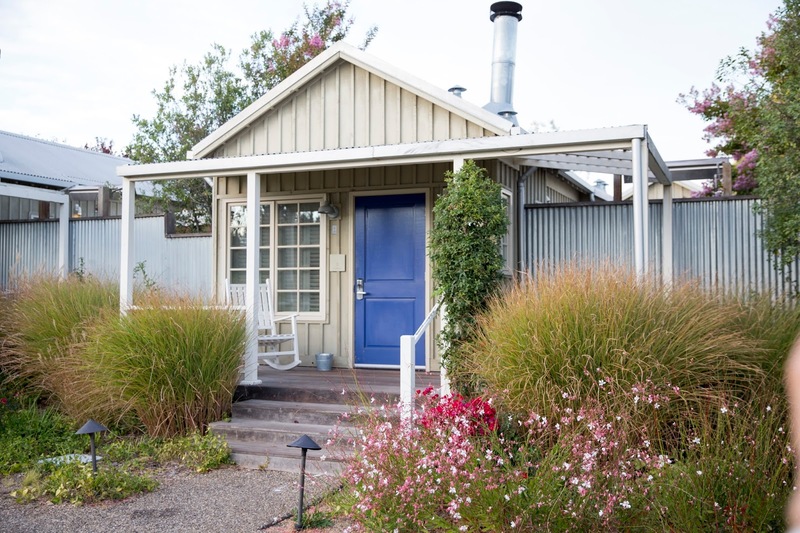 Other areas definitely worth checking out are Healdsburg, Yountville and Saint Helena. The last three cities are fun villages within the city that feature local boutiques, café’s, restaurants, and more. Yountville was a personal favourite! 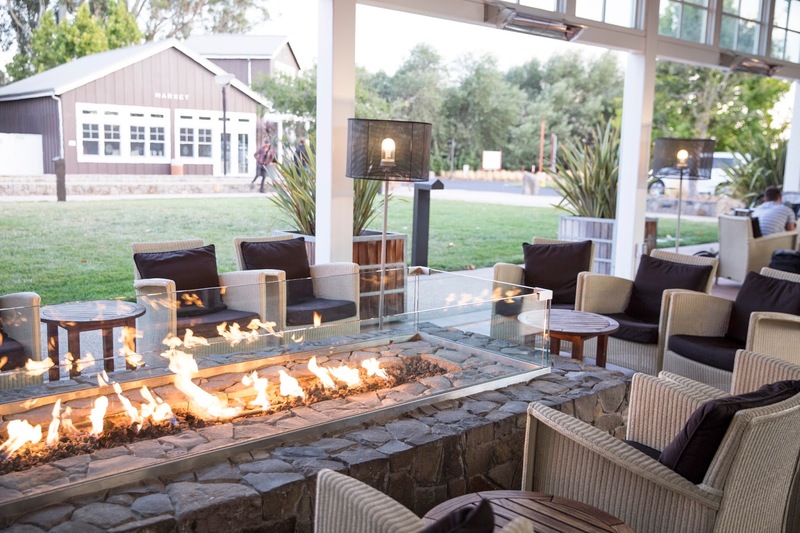 As part of the FINE HOTELS & RESORTS program, Carneros Inn seemed to be a perfect match for our stay. While wine tasting was top of our list, we were also looking for some serious R&R. 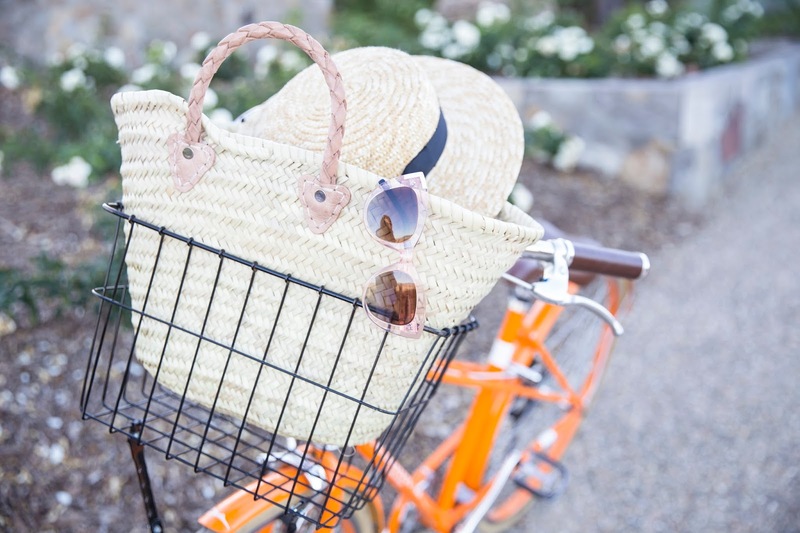 With two pools, complimentary bikes, a bocce ball court, marketplace and more – it couldn’t have been a more perfect resort for our stay. 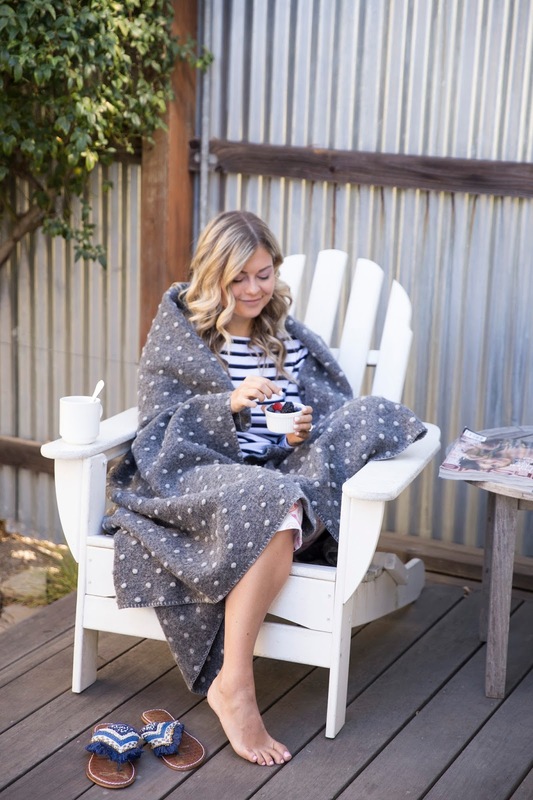 Rather than hotel rooms, guests are greeted into mini cottages with a wood burning fireplace, outdoor shower, patio space and a balcony that could melt your heart. It was a little slice of heaven and possibly one of our favourite properties we’ve ever stayed in. Another perk? Our trusty daily breakfast for two, compliments of American Express. We took full advantage of this awesome benefit to fuel up for our vino-filled afternoons. How adorable is the poolside vibe of our hotel? A sneak peek at what I packed for our week in Napa. Frog’s Leap: A quaint winery located in Napa, we loved the guided tour, property and selection of wines. Domaine Chandon: A winery after my own heart. The sparkline wine selection here was fabulous and the grounds (lined with white Muskoka chairs) make sitting and sipping a breeze. Definitely a must do for a girl’s weekend! Stag’s Leap: Though not a red drinker myself, it was undeniable to appreciate the quality of wine produced at this winery. The patio views are also not to be missed as your sipping on their famous Cabernet Sauvignon. Taking a break in between wineries. Nickel& Nickel: Quite possibly one of the most darling wineries I’ve ever visited. OH – and their wine (even the red) was out of this world. 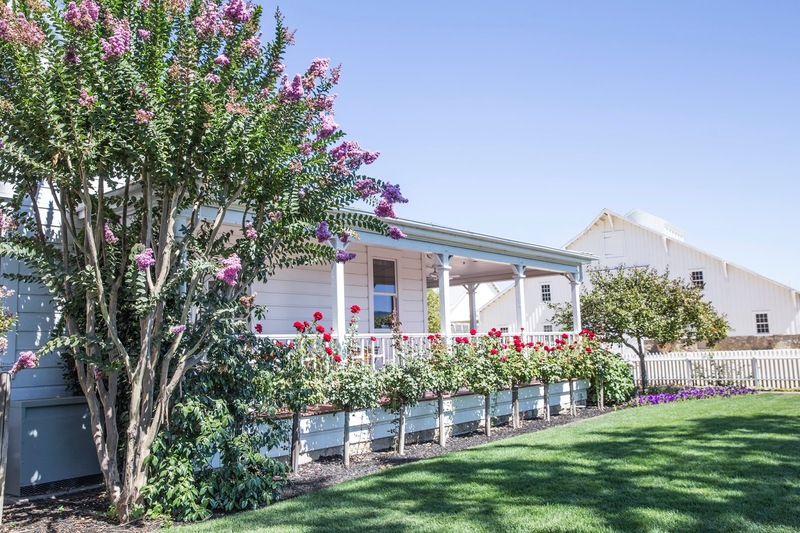 The rose garden on site is too pretty for words and the guided tour of the property was my favourite of all the wineries we visited. The cheese pairing with the wine selection was also super interesting. We ran home and bought everything we were served we loved it so much! DomaineCarneros: Another sparkling wine stop! The grounds are stunning, wine selection is amazing and the antipasto platter is a must-do! My takeaway for Rose, "Chill it and kill it." 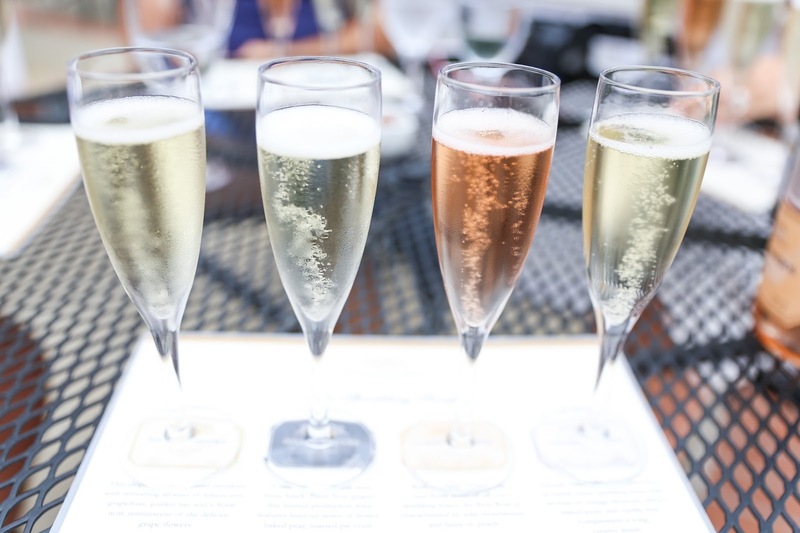 Sparkling wine sippin' at Domaine Carneros. Starmont Winery: Located off the beaten path, this winery features killer music, hillside views and a Chardonnay that’s totally worth a visit. Caymus Winery: This was more of a sentimental visit for us. We served Conundrum at our wedding and hadn’t had it since. The tasting experience here is less formal but enjoyable with friends in various pockets spread out amongst the property. Robert Foley: One of the founding father’s in the Napa wine region, their wine tasting is a tad unconventional unlike others in the area. A more hands-on and friendlier approach, I walked away with the most knowledge about soils, different regions and history on the area than any other winery. Francis Ford Coppola Winery: More of a resort complex than a winery: this spot is home to one of my favourites – Sofia sparking wine – and another – a sprawling pool on site. Mix wine tasting, late lunch and an afternoon by the pool and you’ve got my vote. Hanging pool side at the Francis Ford Coppola winery. Thanks to our Platinum concierge, most of our dinner reservations were cared for leaving lunch options to our discretion. One spot I specifically wanted to visit was Gott’s Roadside. The burgers, fries and shakes were out of the world and most definitely worth the visit. Be sure to order ahead online to avoid the long wait lines. Bouchon Bakery was another spot on our list for their famous croissants and fresh baked goods in the morning. Be sure to arrive early before your favourites are gone! Another must-do spot for lunch was Genova’s Deli located in the Napa area. 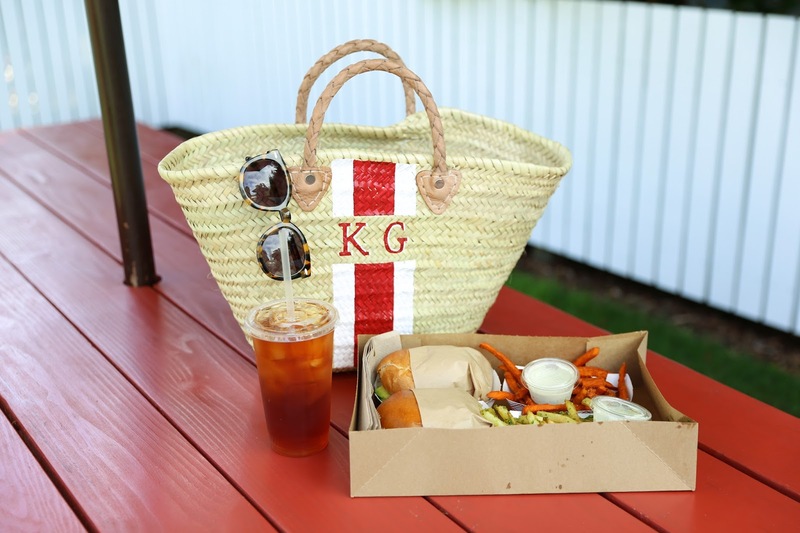 A true Italian marketplace, they’ll pack up the best sandwich you’ve ever had with some yummy sides and you’re all set for a picnic in the park. 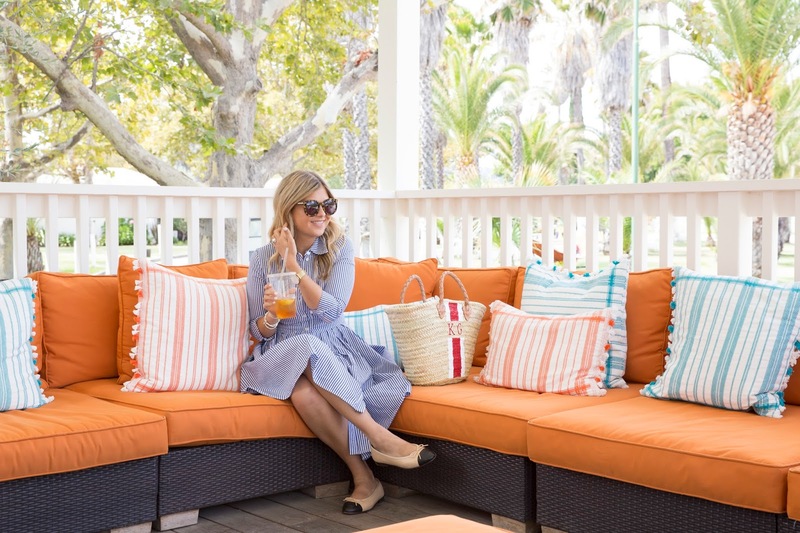 For breakfast, you must stop by Boon Fly Café at the Carneros Inn resort. Anticipate a bit of a wait but the warm donuts brought to your table make it all worthwhile! A must do: Gott's Roadside! 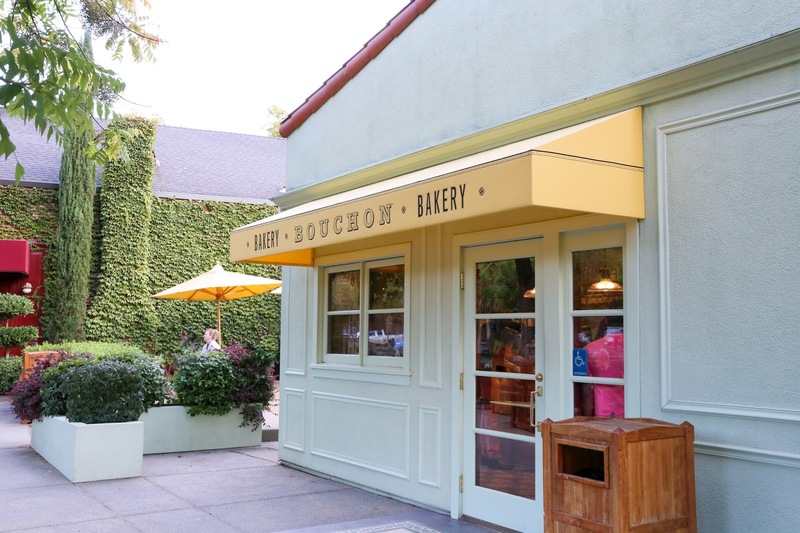 Be sure to visit Bouchon Bakery for their fresh croissants! The donuts at Boon Fly Cafe are out of this world! As for memorable dinners, I have to hand it to the Amex team for some of the best meals we’ve had in a while. Farmstead at Long Meadow Ranch was American style cuisine in a cozy barn. The brick cooked chicken was to die for! Bouchon boasted French style cuisine from esteemed chef Thomas Keller and oh goodness, I can still taste the steak and frites from that meal – a MUST! Redd Wood was a refreshing, casual vibe that offered up amazing pizzas. Bottega – an Italian spot – was another top contender for best meal of the trip. You HAVE to try their Olive Oil based bread dip, antipasto platter and the Bolognese spaghetti. That alone is worth a trip back! 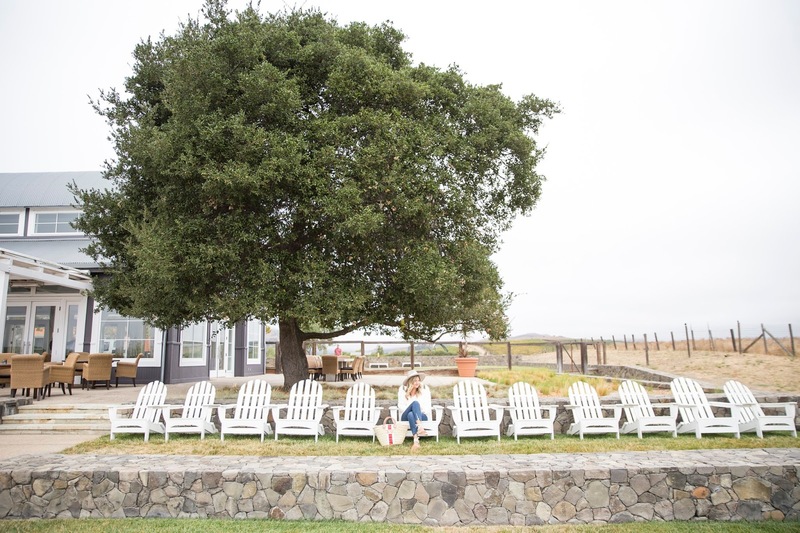 Last but not least, The Farm at Carneros Inn was another stellar spot. Located in our hotel, it was American style cuisine set on the patio. With farm-to-table food served up, it was fresh and tasty. Be sure to make your way over to the fire pit for a nightcap after dinner is done! Cozy up by the fire after supper at The Farm. 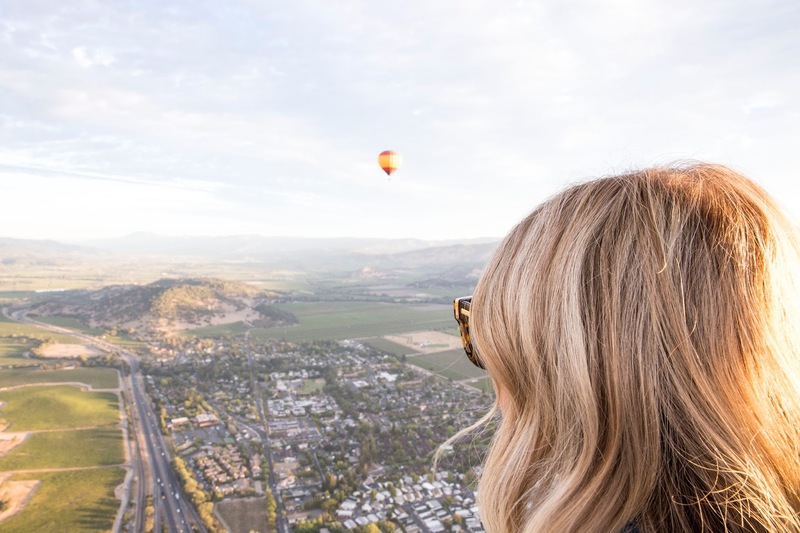 Everyone who hears you’re going to Napa will tell you to take a hot air balloon ride over the region during the sunrise, and they’re absolutely right. The experience was absolutely incredible and well worth the 4:30am wakeup call! We booked our excursion with aloft Hot Air Balloon Rides and we’re still talking about the experience. We love scoping out other American Express properties when we’re visiting a town. Properties on our list we loved strolling around were, Auberge du Soleil for cocktails and Meadowwood Napa Valley. While we never got around to booking one, I definitely recommend looking to a bicycle tour of the area with a picnic lunch – we saw a few of these during our visit and it looked so adorable and quaint! We tossed around the idea of UBER for the week or picking up cab rides here and there but I will say that a car rental is definitely a must for the area. With some visits spanning a 45-minute drive each way having our own car definitely came in handy. Wine drinker or not, Napa was definitely worth checking off our bucket list. The cuisine was superb, weather was fab, resorts were outstanding and wine was out of this world. With limited hotel rooms and restaurants in the area, I definitely recommend getting in touch with the American Express Platinum Concierge and Travel Service to assist with the booking of your next trip. I cannot stress enough the relief it feels to have someone tell you ‘they got this’ and to truly understand how you like to vacation and pull it off so effortlessly. 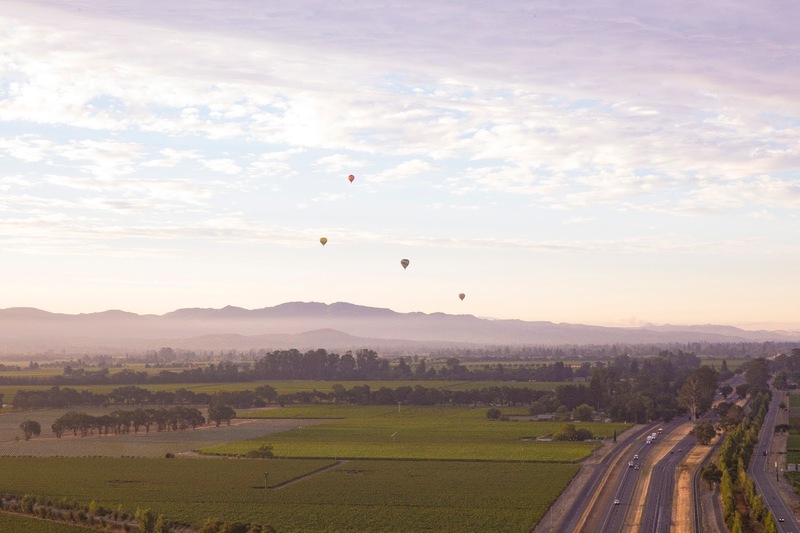 If Napa is a bucket list destination for you, remember that Platinum Card members not only receive a $200 credit they can use towards travel per year but each point spent on everyday expenses like gas, clothing or groceries can earn you rewards to put towards your next vacation. I can’t wait to see where our Card takes us next!